Condo living might make you look for fry-cooking alternatives, but you needn’t worry about not getting your fried chicken fix, even at home. Our recipe for Baked Chicken and Potatoes is the next best thing to fried chicken, and it’s prepared in a healthier way, too! 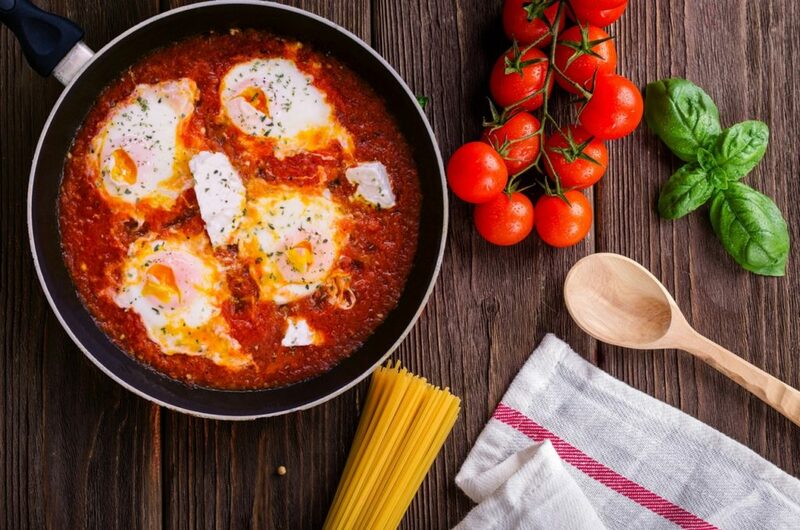 It’s the perfect one-dish meal to whip up on a busy weekday evening. The chicken meat is moist; the skin is crispy and caramelized; the potatoes are baked to perfection. When served with a side of salad greens and dressing, you already have a complete meal, with very little washing up to do afterwards. 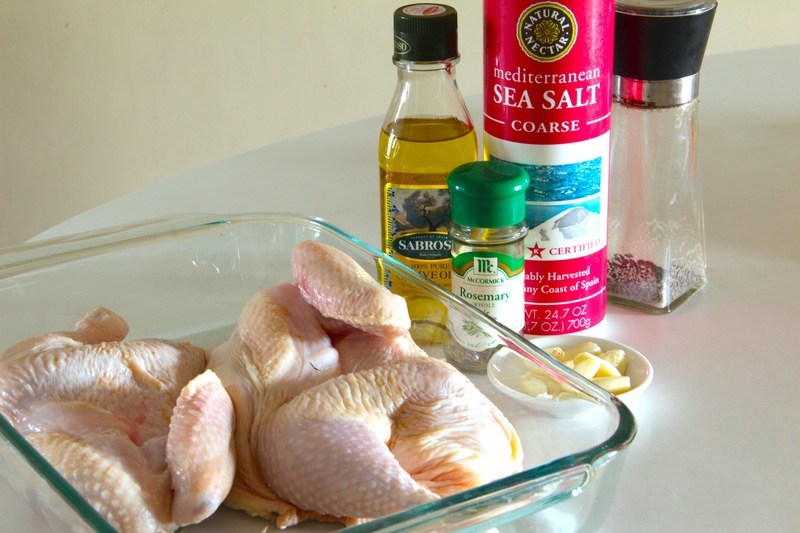 Half an hour before baking, take the chicken halves and massage with the coarse salt, ground pepper and garlic. Cover a leave to marinate for 30 minutes. On a baking dish, place the chicken halves down, skin side facing up. Squeeze the juice from the lemons, directly over the chicken. 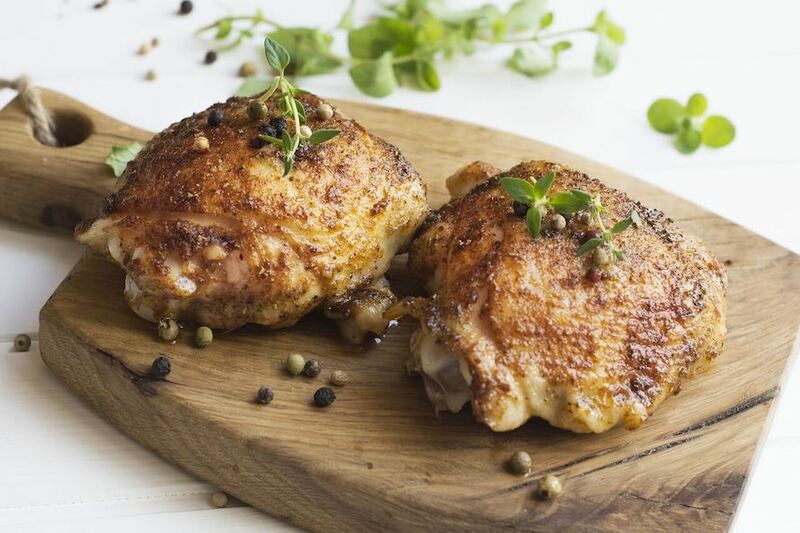 Sprinkle the dried rosemary over the chicken, then drizzle 3 tablespoons of olive oil evenly over the chicken. Set aside while you make the potatoes. Parboil the potatoes for 4 minutes in salted, boiling water. Drain the potatoes well, and pat them dry before putting them in the tray with the chicken. Drizzle the potatoes with the remaining olive oil to coat and sprinkle with a little salt and pepper. Cover the baking dish with aluminum foil and place the dish in the oven. Let the chicken and potatoes bake for 25 minutes. After 25 minutes, remove the foil and baste the chicken with its own juices from the bottom of the tray. Bake uncovered for another 15-20 minutes, uncovered, to let the skin brown.